You've gone through 3 different names and probably 10 header changes within the last 12 months, but you've been a great space for me to write and share my photography! I've spoken to so many lovely people and gained who I like to class as friends all thanks to you! I sometimes worry about my little hobby that I call 'time to see the stars' but I love you all the same. So this is a little 'happy birthday', thank you to you and everyone reading! After 3 years at university, I've decided I'd like to work in the media. I'd move away from home if it meant getting my dream job. I'd love to learn to drive, just to go on road trips. 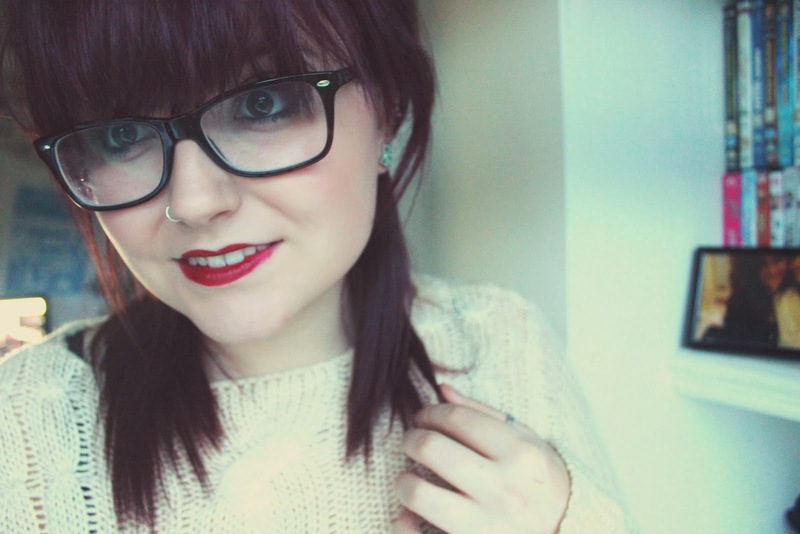 I like to dye my hair different colours but I'm still a little scared of going bright colours. This includes my nanas watch, my caladagh ring, pandora bracelet and necklace from my boyfriend. I'm usually seen as a rock chick. In my first year of blogging I've spoken to so many sweet people, I can't wait to meet them. I'd love to spend the day with those girls shopping, eating and possibly getting drunk on cocktails and a night out. I'm very much a realist but I love to live in my own little world. I've imagined myself in so many different careers but I'm yet to find the 'thing' I'm good at. Thinking about growing up and what'll happen when uni is over scares the hell out of me. Honestly? I don't really know why, but I remember wanting a distraction from university assignments because I was really struggling at the time and I'd seen a few people online writing blogs and I'd heard of them all over the internet, but I didn't really realise what I'd be getting into when I first started it!...But I'm glad I did, I've love creating my own space and constantly editing my blog. I've actually enjoyed writing much more than I used to, so by accident of creating a blog I've fallen in love with it! 2.What have you learnt over the past year and what do you hope to achieve over the next? I've learnt so much! It may sound silly but I really have. 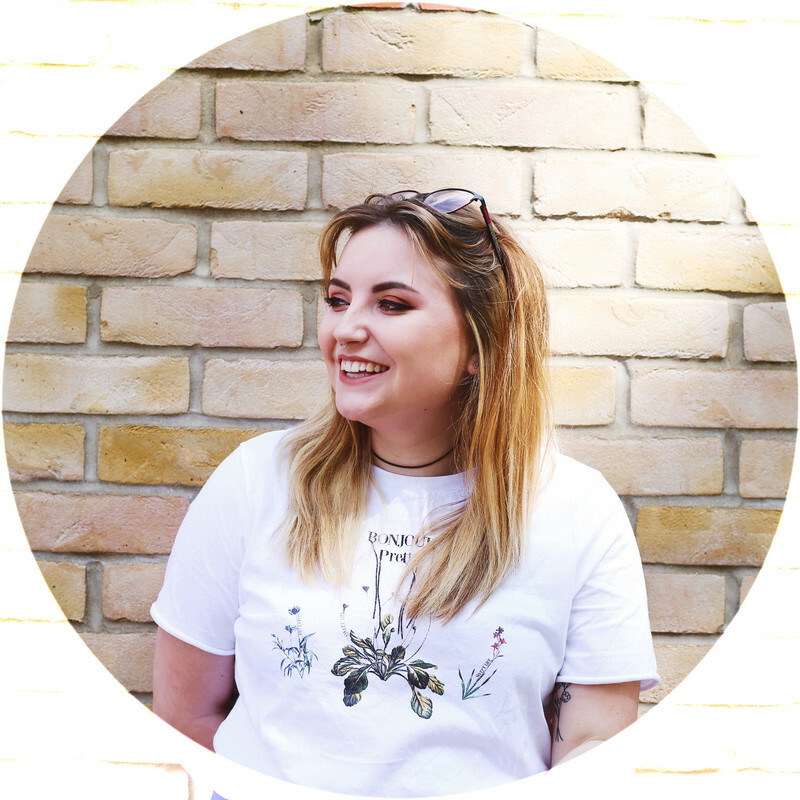 I've developed my writing skills and my ability to communicate with other people and I've actually just learnt about blogging in general, before starting I had no clue and I didn't realise there was so many people around that did the same thing and that I could talk to so many people about similar struggles and interests. What I hope to achieve in the next year is to be more confident in my blog, to share it more with family and friends. To develop my own skills to help my blog grow, even if it's just a little I'll be happy to speak to more people, meet them and writing more challenging posts. 3. Whats the one thing you know now that you wish you'd known when you started blogging? That not everyone sees it as fun or as a hobby, lots of people go into blogging for the advertising and the money! Which I think is great is that's what you achieve, but I never realised that was a part of it! I also never knew how many different categories that blogging could be put under, to this day my blog doesn't seem to fit into any, maybe one day ey! 4. What's been your favourite post you've written over the last year? Erm I'm not sure I have one! My favourites have always been the ones with the best responses, which I can tell straight away people have enjoyed reading. I've always loved reading haul posts, so I definitely love sharing with everyone the things that I've brought. I've also always liked creating wish-lists although it's not always great on my bank balance, oops! I wouldn't say so! In some ways it's helped build my confidence, specially when I have positive feedback and friends being so supportive of me. Although I think my way of dressing and my make-up has gotten much better but overall I don't think so! 6. All time favourite mascara? My all time favourite mascara has got to be Maybelline - The Colossal Volum Express mascara! I've had it a few years now and every so often I try different brands and types but I always come back to this one! The brush is thick and really helps spread the mascara evenly and create a wide-eye effect. I definite reccomendation if people haven't used it before! Thanks to everyone whose followed me over the last year, you all mean the world to me! Happy happy blog birthday to you! 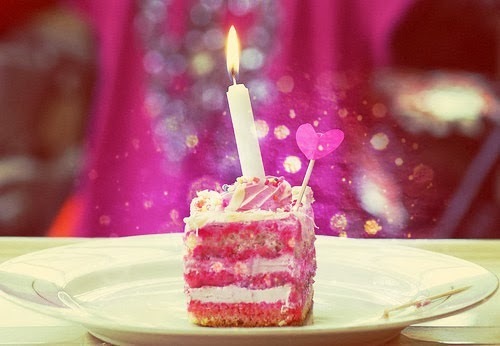 Happy Birthday Blog :) Congratulations on creating such a wonderful blog this past year! happy birthday blog :) great post lovely !